On Monday 6 August 2018, the Unrepresented Nations and Peoples Organization (UNPO) and the Fondation Sahel pour la Défense des Droits de l’Homme, l’Appui à l’Education et à la Paix civile (SAHEL) submitted a joint report on the occasion of the 79th session of the Convention for the Rights of the Child, during which Mauritania will be under review. 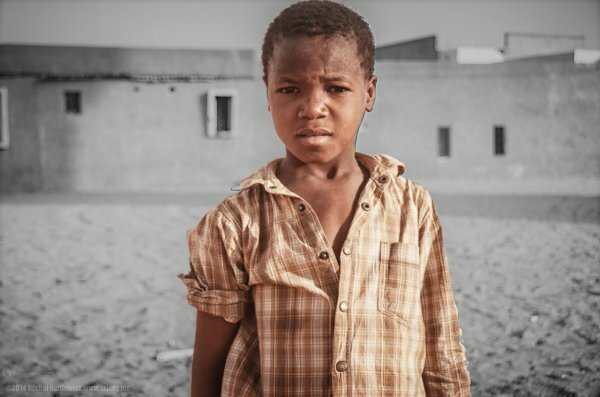 The report draws attention to the inequalities and obstacles in Mauritanian children’s education, in particular those belonging to the Haratin community who suffer additional discriminations compared to their peers. It uses several recent cases to illustrate its argument, including the 2011 landmark case of Said and Yarg Ould Salem. Despite having ratified the Convention on the Rights of the Child, UNPO believes Mauritania has not put in place sufficient measures to protect children’s rights. It has tried to promote their right to education in making school free and compulsory for 8 years, but has fallen short in ensuring public schools can be easily accessed by all. The administrative rigidity of the 2011 biometric census is an obstacle to many families in enrolling their children in school, especially for Haratin children whose enslaved ancestors were unable to register themselves and whose descendants continue to suffer the consequences. The State has also failed to take adequate measures to prevent discrimination from occurring in society, which in turn puts Haratin children at a disadvantage compared to their peers. Stereotypes and spurious theories of a ‘natural’ social order where Haratin are inherently inferior to their Beydan counterparts maintain a climate in which the former are discriminated against regularly. This affects their education as teachers are unwilling to take up positions in public schools located in Haratin-populated areas, as well as influencing the content of their teachings in private, koranic schools. Lastly Haratin children are, with women, the most affected by modern day slavery. This fundamentally affects their right to an education as well as their right to be free from economic exploitation, with insufficient preventive and reparative measures being implemented by the State. Implement additional measures to facilitate the acquisition of national identity papers for members of the Haratin community. Create temporary school enrolment mechanisms for children whose parents or guardians have as yet been unable to obtain the appropriate documentation. Implement the State’s existing anti-slavery legislation, with condemnations including the maximum prison sentences and fines for the convicted. Recognise slavery as an enduring issue in the country, and to build upon its existing anti-slavery legislation. Create ‘priority education zones’ in the poorer regions, with separate budgets, scholarships and policies. Photograph courtesy of Michal Huniewicz.